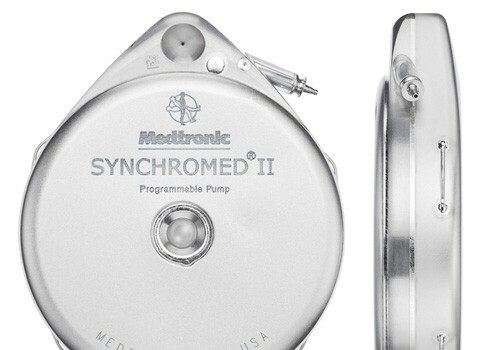 Medical device maker Medtronic Inc. (NYSE: MDT) says 14 patients have died from complications caused by its SynchroMed implantable pain pump. The pump is used to deliver analgesic drugs directly to the spinal fluid in patients with intractable pain or severe spasticity. Although the SynchroMed pump has been classified by the Food and Drug Administration as a Class I recall, meaning there was a “reasonable probability” that it could cause serious health problems or even death, the company is not recommending that the pump be removed. 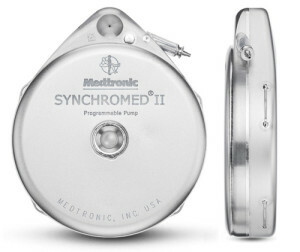 Over 200,000 SynchroMed devices have been implanted worldwide, according to Medtronic. The company has identified four issues with the pain pump that cause the improper mixing of medications prior to their injection into patients. 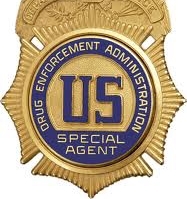 “It is reasonable to expect that the resulting unintended drug delivery is a contributing factor to adverse events involving overdose and underdose.These adverse events will vary depending on the drug being infused, but could include lack of therapeutic effectiveness, confusion or altered mental state, sleepiness, nausea, respiratory depression, coma or death,” the company said in a warning letter to physicians last month. Despite the risks, some doctors and patients said they would continue to use the pump. Without a pump, painkillers would have to be taken orally or by injection, which some patients can’t tolerate. Eleven of the 14 deaths were attributed to patients being inadvertently injected with drugs. Two patient deaths were caused by a drug blockage and one is blamed on an electrical short in the device. The deaths occurred between 1996 and April of this year. “The SynchroMed Implantable Infusion System continues to demonstrate strong overall reliability, and Medtronic remains confident in its ability to deliver safe and effective therapy. 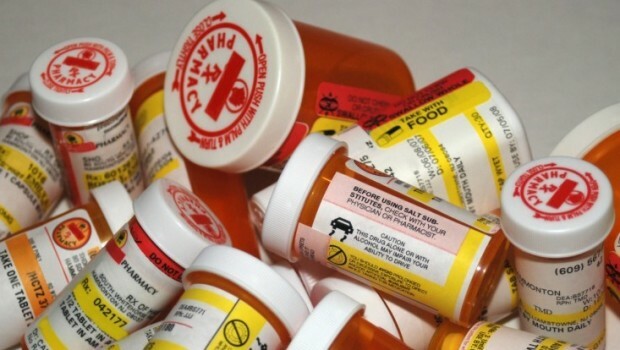 Patients and caregivers should be aware of the signs and symptoms associated with intrathecal drug therapy complications and contact their physicians immediately if they hear a device alarm or experience symptoms of a drug overdose or underdose,” the company said in a press release Wednesday that made no mention of the patient deaths. Meanwhile, a San Diego based law firm that is well known for its litigation in the health care industry has filed a class action lawsuit against Medtronic for securities fraud. Last week Yale researchers found “substantial evidence of reporting bias” in Medtronic sponsored studies of Infuse. 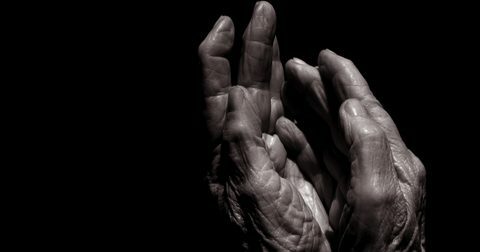 Two independent reviews conducted by Yale that were published in the Annals of Internal Medicine found little or no evidence that Infuse was better than an older method for spurring bone growth. Doctors use bone grafts to promote bone growth after spinal fusion surgeries. The FDA approved Infuse in 2002 for spinal fusions in the lower back. It has been used on more than 1 million patients. Sales of Infuse reached nearly $1 billion a year before falling to $528 million, after questions were raised about its effectiveness in the Spine Journal. So Why Isn’t There a Post Opioid Strategy? 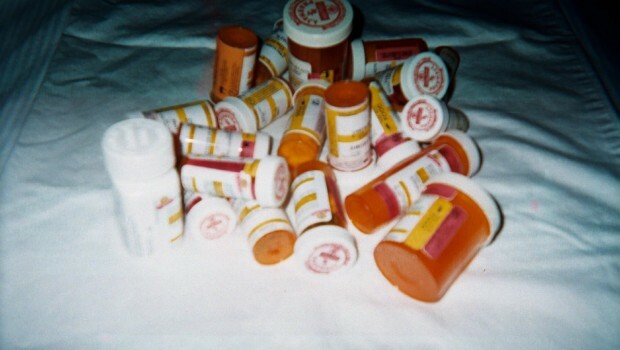 The Prescription Drug Abuse Caucus – What Does It Mean to Chronic Pain Sufferers? I had a pump for 5 years.. LOVED IT! on the 6th year it started to malfunction, I knew it but the machine was not beeping so I had to convince the doctor. When I finally went to surgery, it WAS broken and a piece actually went into my spine, where it is right now. I am looking to sue. I have sufered a lot more pain at this point than benefit with the pump. Well,this is Sunday and I’m due to have my pump put in in the morning. I’m not worried. Just about anything is better than living with the pain. The hospital I have been in have overdosed me twice. I think the odds are in my favor. Yall wish me luck!!! In response to Dennis Kinch – We need full disclosure of medical mistakes in order for the errors in treatment to be corrected and lives saved. I for one am glad to hear the good & the bad. Lets all make informed decisions! I also had my flip over inside me multiple times, & got under my ribs! They opened me up bc I wasn’t getting anything from it & found the tubing stretched & linked around it more than 50 times! The Dr told me I was lucky it didn’t break! I thought wonderful! Now he is trying new “COCKTAILS” with me & I’m having horrible side effects ! My hands are tingling, my legs, my feet going numb & nauseated 24/7! Not to mention trouble breathing, ‘ when I called my Drs office & told them, they said they would get back with me. I haven’t heard back yet! After seeing the recalls , the number of deaths & things going wrong, is it really worth it? I have chronic multiple back injuries, not to mention Sarcoidosis, Fibromigia, lymphodema from breast cancer, so I was excited to get this pump for relief, but I’m ready to take it out & try to manage my pain thru different avenues. It really is hard to know what to do, but the more people who speak up, good & bad will help peoe weigh the pros ‘& cons. If you want to know, did I have any pros, well of course! In the beginning it really helped, I won’t lie! I’m just wondering how much study has been done on these long term! They (Medtronic) needs to be doing follow ups & surveys with their current patients & getting all of this info from them! How much really goes in the Dr charts? I’m sure not everything but they could gain from the patient! Lets be informed! Keep the appointment, see what they say. They are not for every one. The first step is the consult, then they do a “trial” to see if there will be a significant reduction in pain for you. My husband has had significant improvement to his Quality of Life, and I am sure his Quantity. But like everything else, there are other factors and no ONE SIZE FITS ALL FOR ANY ONE! Like I stated in my previous comment, Sometimes, issues with machines, lies with the OPERATOR, not the machine. Just like robots and computers only know what they are programmed to know, you get a bad programmer, you end up with bad robots, bad computers. What ever happens to/for you best of luck! my pain specialist just made me an appt. to have a pain pump put in. I was leary of it then, but I freaking out now. I don’t know what to do. My husband is a intrathecal drug pump patient, he has been for 8 years. He was “inadvertently injected” with 16 mls of the 20 mls intended to go into the pump. I was not with him when this happened. He knew immediately what happened. The PA and RN she was training in the pump filling procedure, then discovered the issue. The PA had no idea what to do. The hospital had no protocol for this type of incident. As an LPN I know I would do ALL I HAD to to ensure my patient has oxygen and life support immediately available. They waited 3 hours to admit my husband to the ICU. HE is the one who phoned me from the hospital parking lot to inform me he would not be returning home that night. When admitted to the ICU the staff were told that “He had a adverse drug reaction”, and NOT that he had been the victim of a massive overdose of medication. There is no medical explanation for how he survived this incident. Yet it was not the DEVICE that did the most harm, it was the personnel ACCESSING it that did. Another patient I know with a 40 ML pump was programmed with dosing for a 20 ML pump. When given improper instructions the pump must have shut down and the patient was the victim of a potentially deadly withdrawal. It was the same PA who caused the harm, not the device. I saw to it the PA is no longer employed by the facility. She had no business accessing devices with such a woeful lack of knowledge. If told today my husband would have his pump removed, you would have to fight him to the death to take it. Sometimes problems with machines are the fault of the OPERATOR. I was giving much thought to the pain pump. Now this scares the daylights out of me, I didn’t realize surgery was required every time the pump malfunctions. It seems this would cause unnecessary build up of scar tissue, causing yet more problems. After 6 osteoporosis related spine fractures and a failed sacro-iliac joint fusion, I got an intrathecal pain pump in May 2012. The pump flipped over Labor Day so it could not be refilled in Oct. I knew something was not right with my pump because I could not get a bolus for BTP. After surgically flipping it back over, the pump was still not working properly. I had another few months of excrutiating pain before my PM doc ordered a dye study, MRI, CT scan, and Xray which showed the cath in my spine was cracked off. So yet another surgery related to the pump to put in a new catheter. Every time there is a problem with the pump they have to OPERATE to fix it. 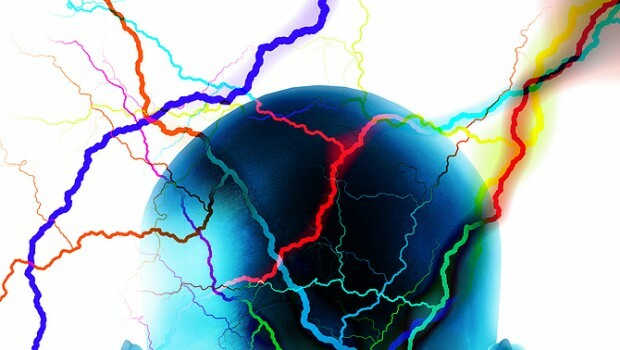 That’s the thing they don’t really go over: How crummy the technology is made and maintained and now you may or may not have a time bomb in your body. A NS was supposed to remove the cracked off piece but decided not to bother. I was told not to stand on my head because those pieces of catheter can migrate to the brain. Here we go again, scare us with research and reports designed to make a mountain of a molehill. Look at the numbers. And these are from the researcher. A small percentage of tragic events will now govern the demise of the large majority. I would dearly LOVE to have a pain pump. But scare tactics like this will make it impossible for a doctor to prescribe one. My doctor didn’t even know they existed. I recommended he look into it. Now he will look into it and be scared to death to ever recommend one. How about this, if the percentage is lower than 1%, just keep it to yourself, keep researching if you must, or move on to something else with a higher percentage…like the incidence of suicide due directly to underprescribing pain relief medication. How about the percentage of people who wrongly became destitute due directly to pain disease and the medical system’s inability to help them?. How about the positives, like the percentage of people directly helped by these groundbreaking methods of relieving pain and helping people to become more productive, maybe even returning to work?! This is exactly why pain treatment is slowly going backwards and the US is so far behind the rest of the world’s medicine. You remind me of the 24 hour news channels, a lot of nothing to report so why not drum stuff up. Stop it, please.